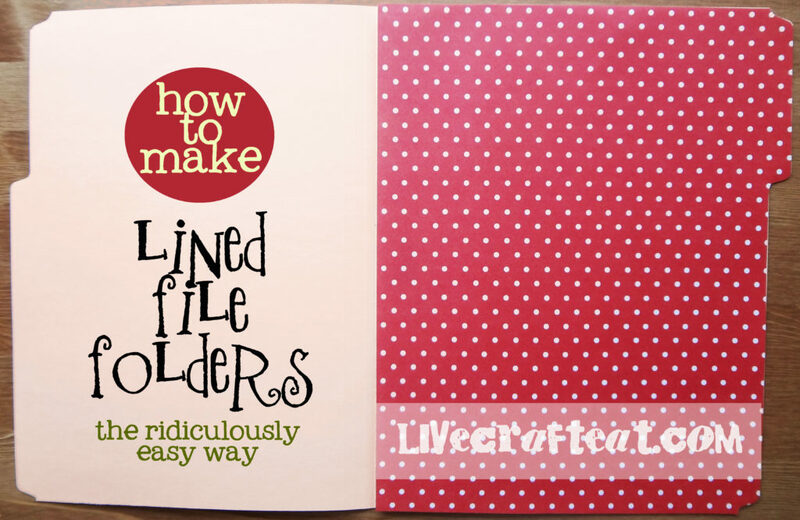 file folders are awesome. i love them. they keep all the loose papers organized and in one place. the only thing i don’t like about them is how ordinary they look. i’ve worked in an office setting for several years and while they’re very useful and uniform, they’re just not cute. i’ve been using lots of file folders lately for things like family home evening kits, holding all of my primary music time visuals, and keeping all my son’s school work together. so instead of sporting the office blase look, i decided to prettify them a little bit with some fun patterned paper. 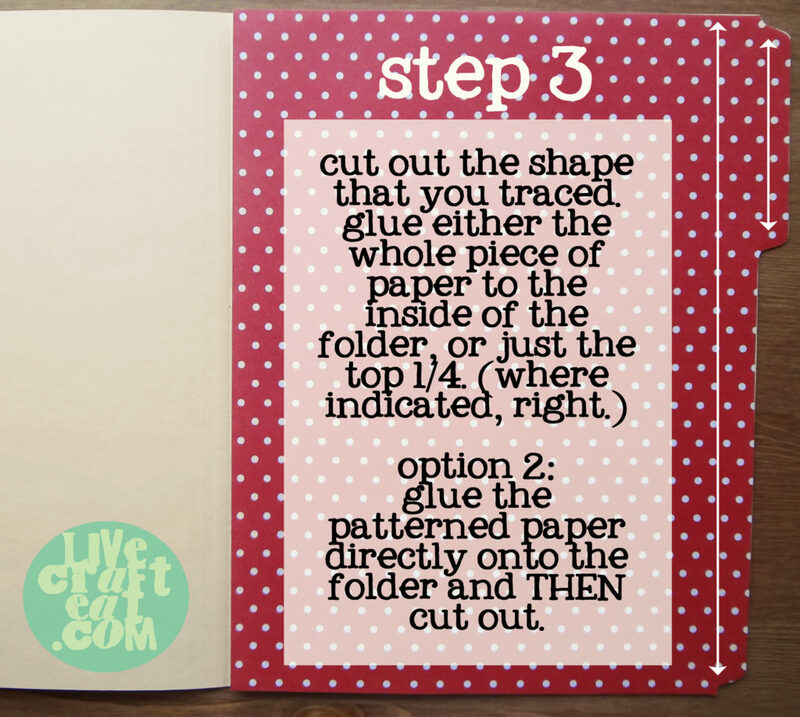 and depending on what you’re using them for, you can make your patterned paper go further – for my family home evening kits that are sealed shut on either side, i only used 3″ of scrapbook paper, so just the top part that is the most predominantly seen will be covered in paper. and one more reason i love lining them myself: it’s way cheaper than buying them at the store! 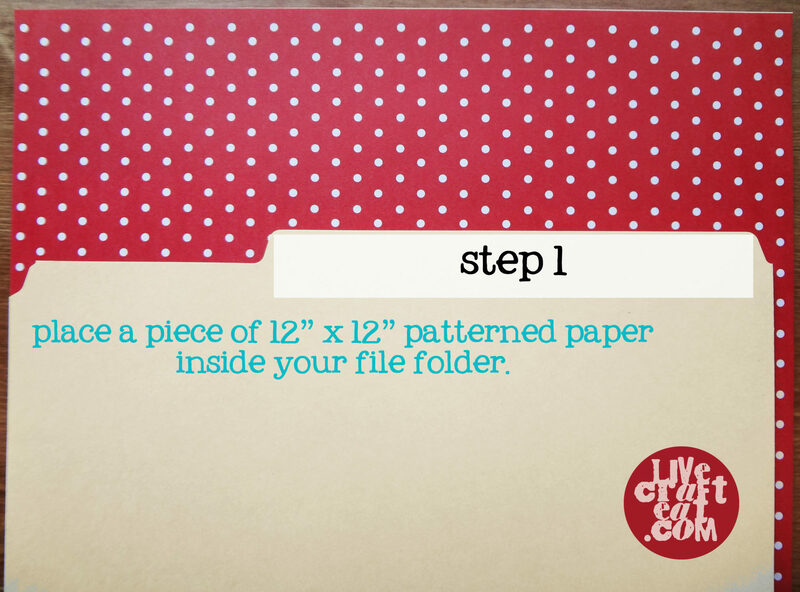 step 1. place a 12″x12″ piece of patterned paper inside of your file folder. 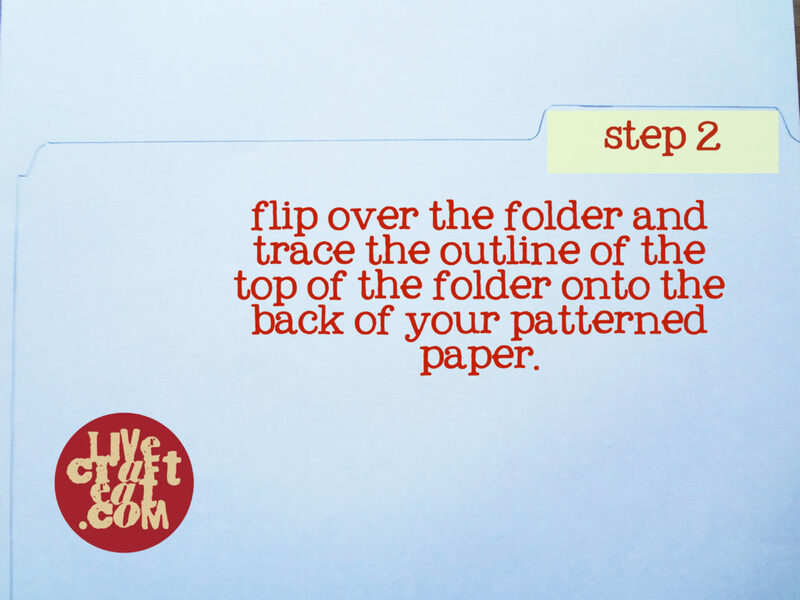 step 2. flip the whole thing over and trace the top of the file folder onto the back of your patterned paper. step 4. add a label to the top & you’re done! 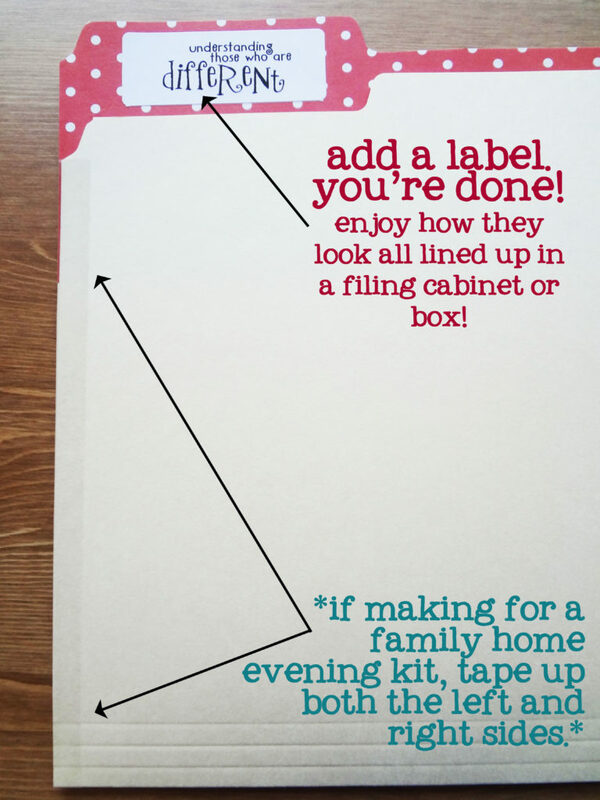 if you’re making these for family home evening kits, don’t forget to tape up the sides so none of the game pieces or papers fall out. they really do look adorable. i’m glad you like it!